Gislev Friskole is a free private school situated in a rural area. The school was founded in 1872 and its ideology is based on Grundtvig and Kold. We have112 students within the age of 6-16 years. We teach from Kindergarten to 9'th grade at the school. We are 9 teachers, 3 pedagogical employees, 7 kindergarten teachers and 4 practical workers at the school. Tartu Raatuse School is a primary school, with 9 grades (students up to 16 years old). Today about 465 students are studying and 52 teachers, 4 members of school support staff and a school nurse are working in our school. 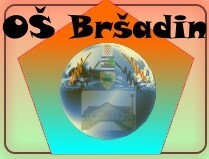 Osnovna škola Bršadin was formed and began to work as an independent primary school in 2012. Attendants are students of 7-14 years. All classrooms in our school are equipped with a computer and a projector, and in one classroom there has been installed the whiteboard, with the aim of greater clarification, and wider possibilities of research work using ICT. The educational work was started on 13th November in 1920 in our institution. Its representative building and the offered high level educational work has always provided a decisive role of it, not only in Csongrád but in the nearby villages and towns as well. Cudibey Secondary School is a national school with 4 grades (5,6,7,8). The agegroup is between 11 and 14. We have 1235 students, one headmaster, 4 assistant managers, 87 teachers and 9 support staff. The school has 39 classrooms, 2 teachers' rooms, 1 library, 1 conference hall, 1 sports hall, 1 counselling service room and 1 canteen.